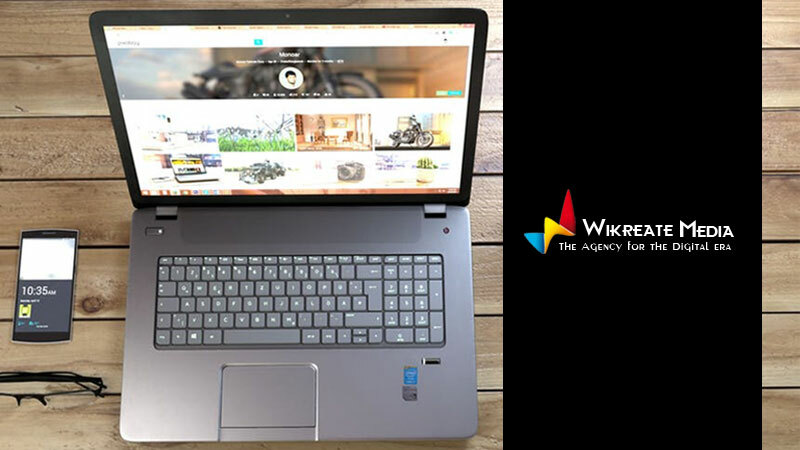 Wikreate is a digital marketing agency that caters to heavyweights in the marketing industry. Creativity is our biggest strength which is a clearly visible in our name – Wikreate as in “we-create”. The solutions that we provide are at practical level and with results that have long legs and continuously touching new milestones. In fact, you can say, we feed on them! And we flamboyantly promote it because what you see or hear is actually working in the market & in your minds too! Right from strategy to operations to acquisitions, we give you the full and real deal. We started our journey from East of India to North and now sailing our success flags towards the South & West of India and the itch is to go global. Wikreate is the name, our Founder, Sudip Das had thought when he was still in his cloud of dreams which were maturing to be the best of the fruit of success for him and his superb team. And the quote, “What’s in the Name?” might have some meaning to the other school of thought but to us, names like Apple is not giving you a thought of fruit but the mobile so actually its everything in the name only! Inbound marketing – we attract customers with the help of several inbound marketing techniques like content marketing, search engine optimization, lead nurturing etc. We know the best possible way to bring the audience to our customer. Creative brand development – because your name is what makes you. We believe in this thought. To stand out from the others and to make them visible from a distance, we provide visual identity, strategic planning, copywriting and much more. Technology – we use technology in the appropriate manner by providing our clients with the latest website development, custom app development, data and API integration etc. We understand that the first thing that customer accesses to check out about the company is their website. Digital marketing communication – this segment takes care of the most common problem of a client. Having an idea but not being able to communicate it in a proper manner. We do it in a professional yet fun way with the help of social media marketing, clear and to the point description of what a customer really wants. Business marketing strategy – in most of the cases, our client has a kickass plan but still not able to get the required business. That is where business marketing strategy is vital. We provide the full range of marketing solutions to meet their business marketing needs. The list of why we do it is a long one. But two primary reasons are because we love to do it and we know that our client trusts us to give the best that we have to offer and that means the world to us. There is nothing more valuable than midnight praises and exciting feedback from your clients. No matter how far we go and how big we become, our basic principle of keeping the needs of our client first will always be there. To keep our clients contended we are ready to go the extra mile. We are like Phoenix – working for the clients to ashes and then reborn with new ideas for new clients. Social media channels have become the biggest source of information to the large chunk of people in the world. So it automatically becomes our responsibility to keep in check the content going for the client in any form to the public at large. Like many irrelevant game apps- Blue whale has taken many lives worldwide and we need to be alert for such menace. Every technology has its pros- cons but it is our responsibility to be responsible people with magic wands of social media. With the fast-moving technology, people need to understand that communicating to your particular audiences would be all about data & artificial intelligence in the coming future. So we would say being informed is most important and the next thing would be to take proactive steps with the information you get. No stone is turned the easy way. Every task has its tough moments and only those moments decide the effectiveness & efficiency of the team. We need to be smart while learning also either easy or hard way. Well, one of our oops moment was when we shared a third party blog from client’s profile, they weren’t’t happy about it, so we defended ourselves saying that it was just a experiment. Our client list is as noisy as crackers on Diwali, starting from leaders in Healthcare industry to stars of the manufacturing companies. Social Media platform has become the stage of dramas and only well written get the appreciation and flowers of love. A perfect strategy and content can really reach to the right audiences to vibe out the client’s need. It is always live and people have a choice what to see or not, so we need to be very research- oriented to know the taste buds of our concerned clients. Being connected now is like breathing. A day without an internet would be like missing attention, information, masala of your life. I hope that doesn’t happen any day in future. We would miss the latest selfies of our friends! Yes indeed. Sometimes there is a requirement and sometimes we just need to dig out the Diamond with right cuts to be perfect all the time in our industry. So, all the gems are more than welcome to shine with us.